What Makes our Technology Superior? The fundemantal features of the CETS LLC technology used for production of AstroTubers™ (potato minitubers) results in a superior tuber. 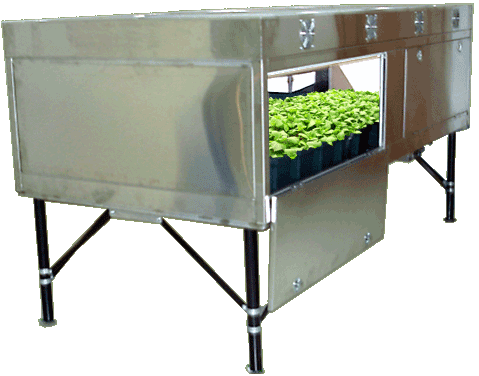 The CETS phytotron stainless steel interior walls and floor can be thoroughly sanitized after each growth period, thereby, eliminating the possibility of carry-over disease infestation into the following planting.